The world has been shocked today by not only the death of Baroness Margaret Thatcher, but of her ideology too. A chorus of the former British prime minister’s acolytes from across the globe have announced that with their leader’s death, their economic and political project has been rendered meaningless. Current UK Prime Minister David Cameron, flanked by current Labour leader Ed Milliband and former Labour prime minister Tony Blair, was particularly sombre as he announced the immediate dismantlement of free market capitalism in Europe. In the United States, the twin loss of both Thatcher and former Republican President Ronald Reagan has devastated conservative politics. Republican elder statesmen John McCain and Ron Paul announced at a joint press conference this morning that the party would now officially dissolve into a set of five splinter groups, the John McCain led Moderate-Conservative Party, the Ron Paul led Libertarian Party, the Mitt Romney led ‘Wall Street First’ Party, the Michelle Bachmann led Party for the Restoration of the Kingdom of Christ on Earth and the Herman Cain led ‘We are not stupid’ party (sic). President Barack Obama has taken advantage of the disarray amongst his enemies to ram a series of bills through congress nationalising all major US corporations and converting the entire US electricity system to worker-run renewable energy. In China, Thatcher’s death has prompted a leadership spill and the dramatic return to power of Bo Xilai, someone that most Western readers will never have heard of because they are racist and ignorant. Xilai has announced the restoration of Maoist principles in government and a new era of socialist democracy in the rising Asian economic power house. In India and South Africa, the ruling Congress Parties have immediately ceded power to local autonomous networks such as the Naxalites of Orissa and the Zabalaza Anarchist Communist Front of Johannesburg. Singh then gave a cheeky – if slightly rueful – smile, and left the stage. In Australia, the consequences of Mrs Thatcher’s death have been no less extreme, with Prime Minister Julia Gillard declaring that the Labor Party would now return to its socialist origins and that feminists would no longer have to pay lip service to the Baroness as some sort of role model. The Greens went a step further, announcing their mass resignation from parliament to join the armed resistance against all state power. 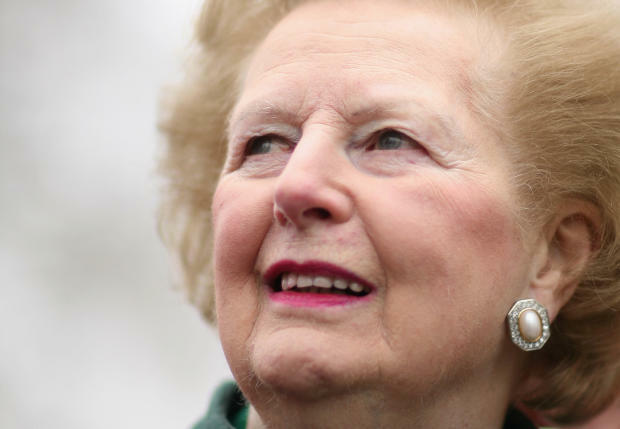 In an exclusive interview earlier today, veteran New York Times pundit Thomas L. Friedman explained the uncanny collapse of Thatcher’s political legacy following her passing. Friedman then broke down on the floor and recanted his previous dogged faith in neo liberal economics. Friedman’s incisive analysis explains why the political left, famous for its ability to resist celebration except in instances where it has won a decisive global victory, has responded so euphorically to today’s news. Tags: Margaret Thatcher, Neoliberalism, Thatcherism, Utopia. Bookmark the permalink.